S. Shankar is a novelist, literary and cultural critic, and translator from Tamil. Shankar’s most recent book is his third novel Ghost in the Tamarind, published in September 2017, which is set against the background of the anti-caste movement in South India during the twentieth century. Shankar’s previous books include the award-winning scholarly volume Flesh and Fish Blood: Postcolonialism, Translation and the Vernacular (2012) and the novel No End to the Journey (2005). Shankar is the editor of Caste and Life Narratives (2017) and of Crossing into America: The New Literature of Immigration (2003). His translation of Komal Swaminathan’s Tamil play Thaneer, Thaneer (Water!) has been performed on stage in Chennai, India, by the city’s oldest English-language theater group Madras Players. 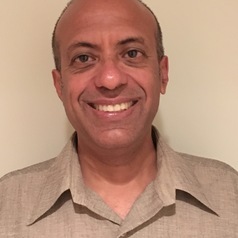 Shankar is the author or editor of eight books, and is Professor of English and former Director of Creative Writing at the University of Hawai`i at Mānoa. He is a recipient of a Senior Fulbright-Nehru Fellowship for 2017-2018. He is also the recipient of the University of Hawai`i’s College of Languages, Linguistics and Literatures Excellence in Teaching Award. He has been honored with Scholar-in-Residence appointments at SOAS University (London, UK) and at the University of Houston (Downtown). Shankar’s scholarly essays and cultural journalism have appeared in anthologies in the US, India and Europe; in popular publications such as The Nation, Village Voice, The Hindu, World Literature Today and Words without Borders; and in scholarly venues like PMLA, Comparative Literature, Cultural Critique, ARIEL, Amerasia Journal, and Journal of Contemporary Thought.